Before entering into any specific reflections on what happened during the course of Prelude this year, I want to start by posing a general and, I think, crucial question: What kind of event is Prelude? And where is it situated with respect to the ecology and economy of downtown performance? These are not academic questions, though the pursuit of their answers should concern scholars and theorists of contemporary performance as well as its practitioners and curators. They have to do with the increasingly urgent search for new collaborative and institutional forms, at a time when the inadequacy and, in some cases, the outright obsolescence of old forms on which we have long relied has become impossible to ignore. It is a question that seems to have gained traction in past years, and it claimed the attention of an even broader audience when the implosion of 13P prompted a widespread reflection on what exactly 13P was, and what it meant and will continue to mean for the future of experimental theater and performance. Translating Lenin’s communist, anti-statist protocol into theatrical terms, it wagered that the future of the theater is essentially bound up with the withering away of the Company. Those of us present, on Day One of Prelude, to hear David Greenspan recite Mac Wellman’s ode to 13P (titled “Plosion of Imps,” it preface their recently published Complete Plays) were again reminded of this perishable playwright collective’s singular inventiveness, and its quietly polemical challenge to the idiotic “bottom line” drudgery of the corporate theater model. 13P introduced a new, practical structure (a new way to link a play to its production, and therefore a playwright to her play), and it demonstrated a fortiori “that a certain risk ought to be entertained among playwrights in the theater of our time – their time, to be more specific… [So] that a new kind of relationship be able to come into existence.”1 Yet, as Wellman is keen to remind us, the kind of radical education begun by 13P cannot continue, cannot expand and deepen its consequences, unless “other similar ventures come to pass.”2 Hearing Greenspan read Wellman’s words, the ever present mischief of the former’s voice underscoring the impish spirit of the latter’s writing, seeing this happen in a simply lit CUNY lecture hall filled to capacity with artists, curators, scholars, writers, and other assorted partisans of the New York avant-garde – it struck me at once that PRELUDE, was and is just such a venture. So with this in mind, I want to propose, as a first step toward an answer to question of what Prelude is, a simple determination of what it isn’t. A week of serious reflection has vindicated this as something more than a provocation. Thesis one: Prelude, whatever else one may say of it, is not a theater festival. By this I do not mean to say that it is some other kind of festival; I am, in fact, perfectly comfortable with such good old-fashioned terms as “theater” and “dance.” I am even in favor of maintaining some of the distinctions these terms entail, though it is clear I am more and more in the minority here – unsurprisingly, a lot, maybe most of the work on view this year bends, blurs, ignores, forgets, thumbs its nose at, and/or tries to reinvent too many formal and aesthetic boundaries to properly be understood under the rubric of such classical categories. My real problem is with that not-so-good old-fashioned name “festival,” a term whose traditional/religious connotations are so firmly and unconsciously entrenched as to seem inextricable. A festival has to do one of two things. Either it gathers a community and momentarily allows it to transgress and/or invert the laws and mores by which it is ordinarily bound (Carnival); or else, it gathers a community to observe and honor its origins, mythic or historic, through a repetition of its founding narrative(s) (Passover, the Fourth of July). In either case, the festival is also always a feast, a time of communal consumption, decadence even (the term festival derives from, and was long synonymous with, “feast”). In either case, the festival always serves a conservative function: an interval of permissiveness and transgression ultimately works to fortify the rule of law, while a celebratory return to the origin works to implicitly preclude certain futures. Topsy-turvy escapism, or repetition-as-reverence. Could the Prelude Festival whatever be situated farther away from, be any more practically opposed to, the scope of this tired binary? At bare minimum, a festival would depend for its success as festival on a certain form of consensus among artists, curators, and audience members regarding exactly what is and is not meant by words like “theater” and “dance” and “performance.” We would need to agree in advance about what sorts of objects we had gathered to consume. In contrast to this, nearly everything about Prelude seeks to work against the comforts of consensus; the work it presents requires its audience(s) to dispense with aesthetic givens. At its best, it is devoted to what Jacques Rancière has aptly terms dissensus – a productive unsettling of the policed, entrenched habits of the human sensorium, a redistribution of the sensible that intervenes in the “specific intertwining of ways of being, ways of doing and ways of speaking that frames a polemical common world.”3 Dissensus signifies a process at once subjective and shared, aesthetic and (thus) political – for, a true upheaval in the sensorium (a rare occurrence, to be sure) always implies a broader upheaval in at the level of the social link. Is this not exactly what Prelude’s curatorial team (Caleb Hammons, Helen Shaw, with Frank Hentschker) aims for? Their fundamental idea isn’t simply to present x number of works for audiences to feast on. Much more importantly, Prelude contributes to the reinvention of the institutional frameworks via which audiences fain access to and engage with experimental performance-based work. Beyond its double emphasis on young emergent artists and the presentation of unfinished works-in-development (works strictly unsuitable for feasting upon, as they’re not yet fully cooked), there is a certain roughness about the way Prelude unfolds. Bear in mind that this is meant as high praise. In fact, it’s this roughness that appeals to me most of all, in that it exemplifies how very little its curatorial vision is concerned to hide the seams that hold an event like Prelude together from its audience. Even where these seams are imperfect, or where they come undone a bit. Actually, never mind “rough.” Tina Satter of Half Straddle put it better in her Schmoetics (presented on Day One, along with Wellman’s “Plosion,” as part of MANIFESTOS 2012) when she described what she wanted her theater to achieve as a sort of “perfect, tight-looseness.” It’s its perfect tight-looseness that sets Prelude apart from the tired and yes, corporatized world of the Theater Festival. What, then, if not a festival? A laboratory, convened in the modern spirit of science, over and against the communitarian pieties that link the festival to its religious pedigree. An experiment in dissensus. And, therefore, a bold wager on the future of the experimental performance arts. Another dare. 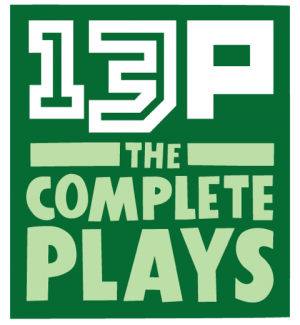 1 Mac Wellman, “A Plosion of Imps: a postscript on 13P,” in 13P: The Complete Plays, ed. Madeleine George. New York: On Stage / Samuel French, 2012, p. 6. 2 Wellman, “A Plosion of Imps,” p. 7. 3 Jacques Rancière, “The Politics of Literature,” in Dissensus: On Politics and Aesthetics. London: Continuum, 2010, p. 152.